Every hobby and career field has its own set of tools without which it would be nearly impossible to accomplish the tasks at hand. From mechanics to knitters, we all need tools to get things done and it is no different for vegetable gardeners. Let’s take a look at the basic garden tools that no self-respecting home gardener should be caught without. Pruners and shears should never be far from your reach when you’re in the garden. They make easy work of trimming away dead and diseased plant material and it is much easier to harvest your vegetables when you don’t have to pull them from the plant, risking damage to the plant itself. When the time comes to transplant seedlings, a trowel is the perfect tool to have in your arsenal. No other garden tool will be more useful digging around for your root vegetables when it is time to harvest. Keeping weeds at bay can sometimes feel like the full time job of every vegetable gardener. While it is true that they can be demanding, they’re a lot more easily managed with a handy cultivator tool to loosen their roots. A cultivator can also make quick work of making rows for planting seeds. 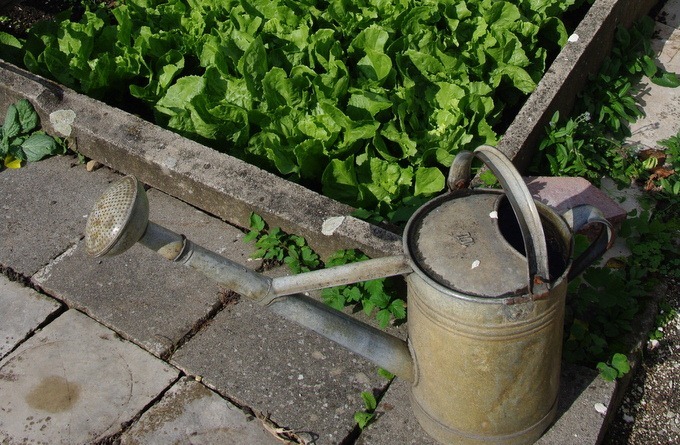 Whether your watering needs can be managed with a watering can or if they require a hose, you will need a way to get water to your vegetables. If you do use a garden hose, a good quality sprayer may be just the thing to adjust water pressure and direct the water exactly where you need it without waste or damage to tender plants.